For more than 10 years our company serves the Bulgarian farmers without compromise and wins satisfied and loyal customers in the sphere of trading fuels for agricultural, transport, heating and industrial purposes. For the convenience of the clients there are 2 main channels: petrol stations and deliveries. Given that the agriculture is a branch of national importance, which covers 32% of the country, we make deliveries to any location in Bulgaria, pointed by the customer. Due to our own transport of 10 tanks, we guarantee fast deliveries that fully meet the needs of farmers. The fleet of the company is under constant control so that we can be sure about the quantity and quality that reaches you. As our clients, all agricultural producers receive not only the fuel delivery and transport services, but also information on law changes, well thought alternatives and professional advices about taking the right actions. 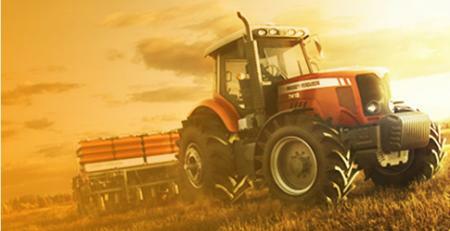 Dieselor's team is in constant communication with its agricultural customers which allows early reactions towards potential threats and opportuities concerning the receiving and usage of the fuel. For example, regarding the launched assistance for 50% discount on the fuel excise for farmers in 2014, Dieselor promptly published an important document with essential information about the process of applying, obtaining and using the fuel vouchers. Moreover, the company monitors every novelty in the regulation and the law and informs the customers both in person and through the corporate website. Dieselor's team is commited to track changes and to make them available to the interested parties in due time. Learn more about the fuels we can offer you and send your inquiry or contact us here. Dieselor provides delivery and transport of diesel fuel without compromise. Wholesale and retail of diesel B6 / diesel (CP-10) and B6 diesel CP-10.